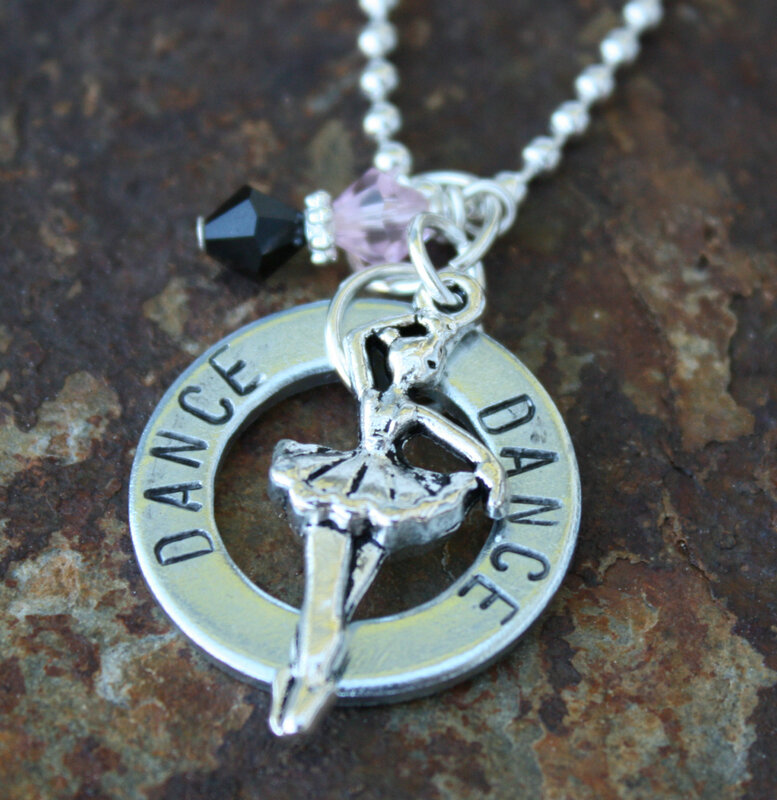 Simple but lovely dance necklace stamped with the words “dance” on it. 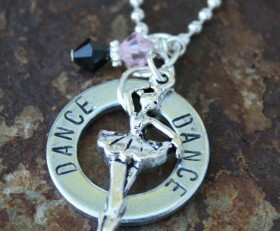 Includes a dancer charm and pink and black Swarovski crystals. We will be happy to stamp the name of you dance studio on here and you can customize your crystal colors.